ARE YOU READY FOR SOME FUTBALL/FOTBOL/SOCCOR!!! The Summer of Futball is here. Join us as we unite the together with the 2018 FIFA World Cup! SOCOP will host a World Cup viewing party in the TeamSpeak Lobby – World Cup 2018 channel on the days of each match. (Matches and timing below - 4pm CEST/9am CST & 8pm CEST/1pm CST). We’ll watch the top teams progress through the knockout stages of the tournament. Running from Saturday, June 30, through the end of the Cup on Sunday, July 15, the virtual space will be decked out with bleachers, a custom-built soccer field and an exhibit showing off a collection of team shirts. It’s all leading up to the grand finale. Join us for the match of the year!! Let's have a great game! 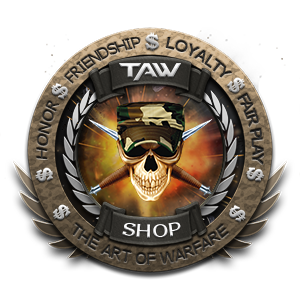 TAW Shop: Discounts for everyone! So I have been tasked with bringing you guys & girls the latest deals coming out of our very own TAW Shop for the first time and it is my pleasure to do so! 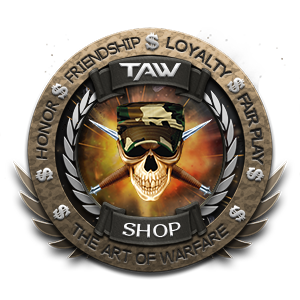 To our brothers an sisters across the pond it is my pleasure to inform you that we are able from June 22nd-24th to offer a 20% off everything in the TAW Shop. You heard me right that is 20% off absolutely everything in the TAW shop for our US based members so make sure you get your hands on the swag you’ve had your eye on and don't get caught up in the frenzy! To use this deal enter the code USA18 at the checkout! Not to forget the rest of the membership we have a deal to keep you looking sharp this summer and show off those muscles developed from the intense keyboard workouts we all partake in. 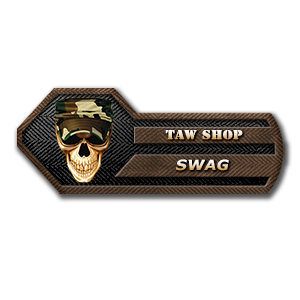 We are able to offer you 15% off on ALL Tank Tops & T-shirts in the TAW shop from the 18th-21st of June so make sure that you get a hold of yours before the sale ends! You use this deal by entering the code SUMMER18 at the checkout! I want to sincerely apologies for the karaoke event this evening. There was a miscommunication between Radio and SOCOP; which is my responsibility and I am really sorry this fabulous event did not get to happen! I know how much everyone was looking forward to it. Measures have been taken to insure this wont happen again. I hope to see everyone there at the next karaoke event! Schooooools Almost Out... For.... Summer! Bring your beautiful summer voices and see you there! Social Operations [SOCOP] is in need of three (3) dedicated members to join us in Operations. If you enjoy working with people and feel the urge to contribute more to TAW in great well organized Team, then we want you. TAW Shop: Updates, thanks and sweet discounts! 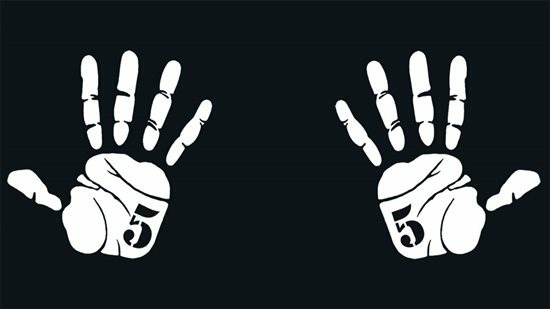 Our Shop evolved over the past year in ways that were unimaginable before.Thanks to a tremendous effort put into it by Rekon it was restructured, redesigned and generated significant revenue to support our community. On top of that, our members got engaged and proudly hold their customizable TAW swag around the globe. From the bottom of my heart I would like to thank you all for all the kindness you showed for the work we do! I would also like to thank our amazing team at the Graphics Division - without your effort, creativity and buckets filled with patience none of that would be possible! Over past year we introduced new products, designs and the freedom of customizable swag. This means that you can mix, merge, twist and swirl our designs to meet your gaming swag needs! You want your Division/Corps/TAW swag on the same mug - we have your back! At the same time I would like to mention that BullShark was recognized by his previous unit for the great work he did with a Leadership Medal. Feel free to take the time and join us in the joy of having such leaders among us! Join our Social Media Channels!! Help TAW Social Media to grow and get more people involved with the community. Our social platforms are very important to us as a community. 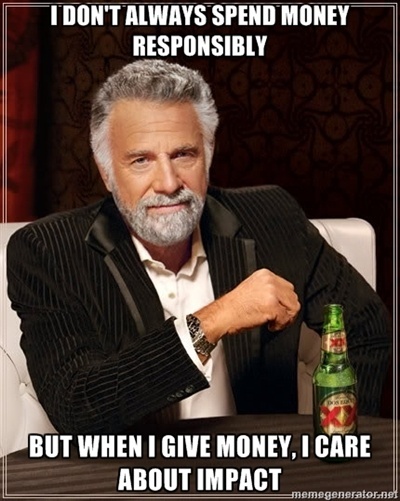 Therefore, it's very important that you support taw.net as much as you can. Please like or share our posts, so that we can grow regularly. If you or your division has any news or important updates to share with us on our supreme platforms, contact your PIA or SOCOP directly. Our goal is to get more views about the different games we have in TAW; we are a big community and have many games with possibilities to grow or find new friends. As explained earlier in a TFO meeting, we have had a paradigm shift in how Divisions work with TAW's social media outlets. SOCOP manages TAW's Facebook, Twitter, Reddit, YouTube and Steam. Previously, division PIA's needed to send what they'd like posted to SOCOP and they would post on their behalf. Now the Division PIA's can be granted access to post. TAW's social media is far-reaching and should be utilized as an important part of each Division's promotion and recruiting system. For a more detail, please see this explanation provided by SOCOP leadership. Feel free to contact Albenji [SOCOP DC], FireTAS [SOCOP DO] or PhilvP with questions. We'd like ALL Division not only to have a PIA but for them to be posting on all social media including videos on our YouTube channel. Shop: 15% OFF tank tops & free shipping! 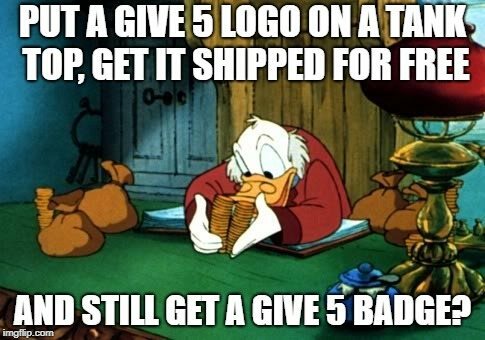 If you didn't buy any GIVE 5 swag, this is a perfect moment to do it! It's absolutely exciting to share with you the details about the two promotions starting right now! Yes, you heard that right! TWO PROMOTIONS! 2018, the year records are shattered, the year we gave collectively, the year we....wait, we're not done yet! We're in the FINAL COUNTDOWN folks!